Invigorate your body as well as your dental health when visiting our dentists in Cuautla. This tourist-friendly area is abundant with hot springs containing healing minerals – just the thing for soothing mind and body. The mild climate makes Cuautla a popular year-round destination. Many of the spas are equipped with slides, restaurants and other facilities that makes the city great for adults and children alike. However, Cuautla has more to offer than its renowned hot springs. Historically, it has played a significant role in Mexico’s War of Independence, being the site of the one of the most ferocious battles in the Independence Movement’s history. Interesting artifacts relating to the events are contained at the Morelos Museum, which also adjoins the old narrow-gauge railroad which ceased to run in 1973. 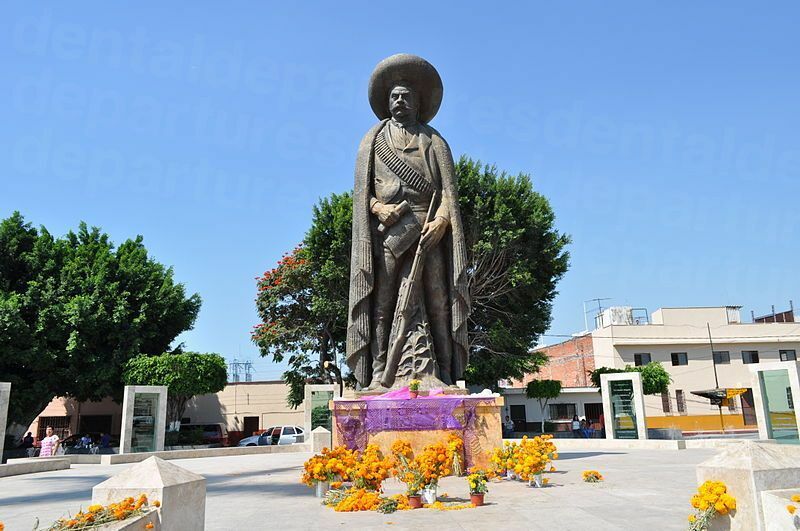 Proud of their heritage, festivities are held every year in the city, especially around the time of the anniversary of the death of Emiliano Zapata, the famed revolutionary, whose tomb is located here. Other historical monuments can be found throughout the city, including the Church and Ex-Convento de Santo Domingo and the Municipal Palace and Murals. The state of Morelos is known for its sugarcane and the region has many haciendas. The city’s aqueduct was constructed to move water to power the waterwheel of the Buenavista Sugar Mill and Hacienda, located just southwest of Cuautla. The name Cuautla means grove or forest, or place of eagles, and the surrounding countryside offers camping grounds, parks and ecotourist facilities for those looking to get back to nature. Dental tourists will find Cuautla provides all the amenities of any modern-day city, and with plenty of added attractions to make a stay here during dental treatment an altogether pleasant experience. Cuautla is in the state of Morelos, about an hour and a half’s drive south of Mexico City. 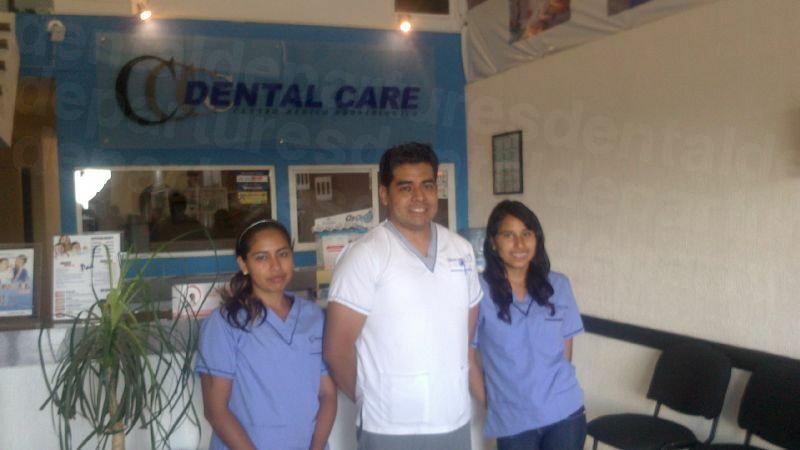 Why visit a dentist in Cuautla? Cuautla is a convenient destination for Americans and Canadians who fancy something different to Mexico’s popular coastal resorts and who want the amenities and convenience of a city, but without staying in the vast capital. Whatever your dental problem is, small or large, you will find the dentists in Cuautla accommodating and assured, giving you a high-quality service at prices considerably less than you’d pay at home. In and around Cuautla you’ll find plenty of hotels, motels, resorts, inns, apartments and guest houses at different price points to suit all budgets. From converted old haciendas in the countryside offering a peaceful retreat to modern city-center chain hotels, there’s always the possibility of staying a couple of nights at various places if you can’t decide. There are no travel warnings from the US State advisory for Cuautla specifically, but the advice is to exercise caution in the state of Morelos. There is no difference in the quality of the care you will find at dentists in Mexico compared to at home (although many patients do say the care is actually better here!) This is providing you find a trustworthy dentist. Of course, there are the good and the bad everywhere in the world – and this applies to dentists too – so we always recommend you do some homework and dig out as much information about your prospective dentist and clinic. This is why booking with Dental Departures helps. All of our dentists are background-checked so you are always assured that by choosing a dentist with us, your dentist will meet up to certain standards. We include legal and criminal checks as well as verifying qualifications, experience and professional memberships. Our website lists this information under every clinic, as well as showing high resolution clinic photographs, virtual tours, real patient reviews and prices – giving you the opportunity to compare dentists quickly and make your own decision as to who is right for you. Dentistry here is considered as a top profession, and with cross-border training and globalization, there is not much difference between countries in the way that general dentists are trained. However, if your treatment involves a specialist area, such as orthodontics or endodontics, then you would be advised to make sure your dentist is fully experienced and qualified in that area. Our clinics deliver fantastic quality care, and all with warranties or guarantees on the work they perform, as well as any materials used, for example in prosthodontic work such as dentures or crowns. It is an extremely exceptional occurrence for anything to go wrong, but if it does then we will get it put right. Dental Departures is committed to ensuring our customer care is second-to-none, and we are more than happy to be your advocate if you are dissatisfied with any of your treatment, and take up any issues with the dental clinic on your behalf. It is worth noting that additional travel expenses you may incur if you do have to travel back are not covered by our dentists’ warranties, and we realize that this is likely to be costly. We have teamed up with some insurance providers who offer dental insurance covering complications. For an additional small charge you may think this is an excellent option to provide you with total peace of mind. English is spoken at all our dental clinics in Cuautla so you don’t need to speak Spanish. US dollars are accepted by all of our dental offices in Cuautla, but if you want to pay by bank transfer, personal/travelers checks or credit/debit care you will need to check out the payment options under each individual clinic listing. Most clinics accept at least one other form of payment besides cash, but please note credit card transactions will usually incur an additional 3-4% charge. It is unlikely your dentist in Cuautla can accept US or Canadian dental insurance. If you do have insurance, it is certainly worth checking if your provider offers ‘out-of-network’ care as you may be able to claim back the costs when you return home. Your money will certainly go a lot further in Cuautla than it will at home. Our dentists are open the whole year round, and so it is entirely up to you when you want to go. Cuautla’s climate is mild throughout the year too. While night-time temperatures are comfortable, averaging about 57°F (14°C) daytime temperatures are still hot in the mid 80s°F (upper 20s°C). Many of our dentists have wheelchair-friendly facilities, and a great deal provide free transport to and from your hotel to your appointment. It is not always easy to get around in Mexico – sidewalks may be steep, narrow and poorly maintained and getting in and out of shops and restaurants is sometimes problematical. That said, there is usually someone around to lend a helping hand. The modern hotels and shopping malls are more likely to be wheelchair-friendly, so just call our Customer Care team to discuss your requirements and we’ll do all we can to get you to one of our dentists in Cuautla. Sedation dentistry is not standard in Mexico – the preferred method of pain relief being local anesthesia. Many of our dentists do offer sedation dentistry as an additional service, but because the services of an anesthesiologist are required it will need to be booked in advance. There is an additional charge of around $400 for this service. If you need prescription medication, such as Valium, you will need to order this in advance too. What else is there to do in Cuautla? Cuautla is renowned for its hot springs and there are plenty to choose from. Agua Hedionda is one of the most important ones. In Spanish, the name means Stinky Water, characteristic of the sulfur in the water which gives it a smell of rotten eggs! But don’t let that put you off, the waters are said to be most invigorating. 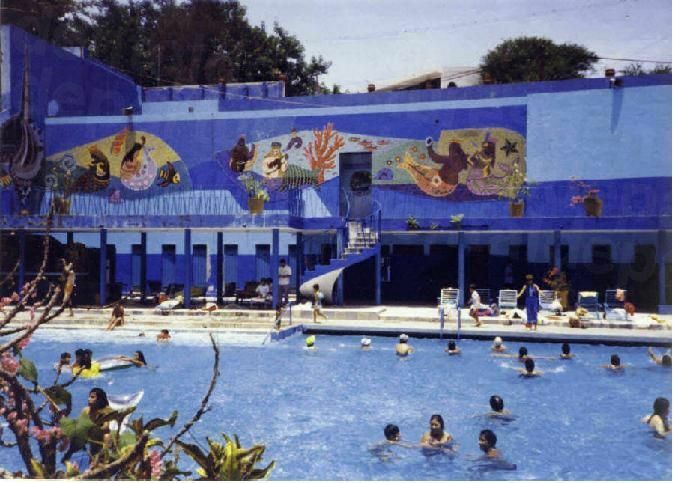 Other spas and mineral springs in the area include Agua Linda, El Almeal, Las Tazas and Los Limones. The narrow gauge steam engine which was retired from service in 1973 is now a part of the Ferocarril Interoceanico heritage railway and museum. 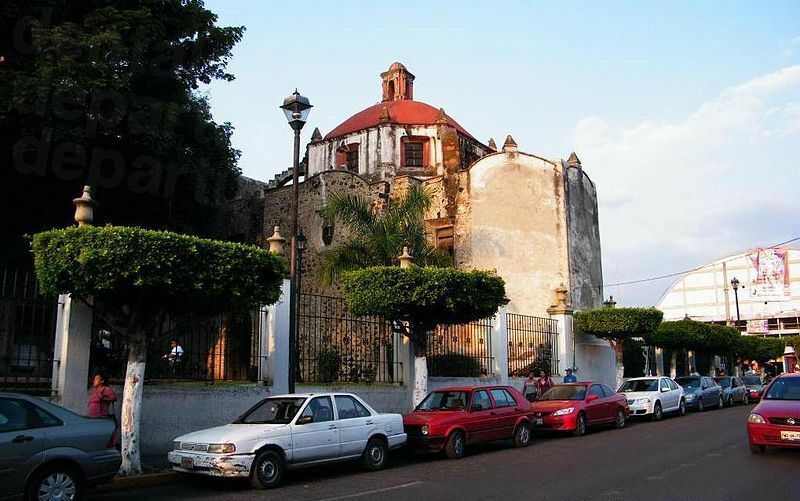 It is now used as a tourist attraction, currently running from Cuautla to the nearby town of Yecapixtla, which is worth a trip to sample its incredible cecina, a cured, salted meat. Communities indigenous to the area include the Tepoztlan and Tetelcingo and there are many arachaeologcal sites, such as Chalcatzingo, known for its broad collection of Olmec-style monumental art. The Tetelcingo are renowned for making wire cages, bread and napkins worked as lace, and they maintain the traditional Indian dress for women. You can see workshops that produce leatherwork, including sandals and belts, as well as saddles and other gear for horse-riding. Further afield in the state is the Magic Town of Tepoztlan, dominated by the Tepozteco pyramid. This arty town has a New Age, spiritual feel about it and has numerous health food stores and a weekend market. Outdoor pursuits in the mountains, rivers and forests that surround Cuautla including boat trips, camping, hiking, mountain biking and, for those with nerves of steel, tandem skydiving. Most people tend to fly into Mexico City, which is less than an hour and half’s drive away. Another alternative is the airport at Puebla, the Hermanos Serdan International, which serves only a couple of US cities – Dallas and Houston – which is around 2 hours away. Book an appointment online, or speak with our Customer Care Team via our toll-free phone number, or online chat. Dental Departures offers you the best prices for your treatment with our dentists in Cuautla, as well as quality-checked dentists you can rely on.